Millennial Rachael Hogg, mum Erin Baker, and racing driver Vicki Butler-Henderson (REV... get it?) are testing three of the UK's most popular small SUVs, based on how people search for them at Auto Trader, and with a monthly PCP price of around £200. The cars this week are the stylish and practical Hyundai Tucson, immensely popular Nissan Qashqai and Renault Kadjar, which is the sister car to the Qashqai. 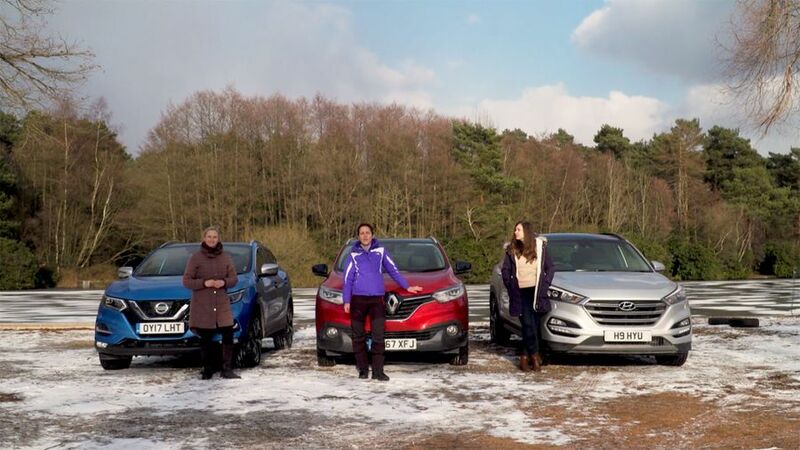 Along with putting the cars through their paces, Rachael, Erin and Vicki braved Arctic conditions on a frozen lake... in Surrey. Interested in buying a Renault Kadjar?